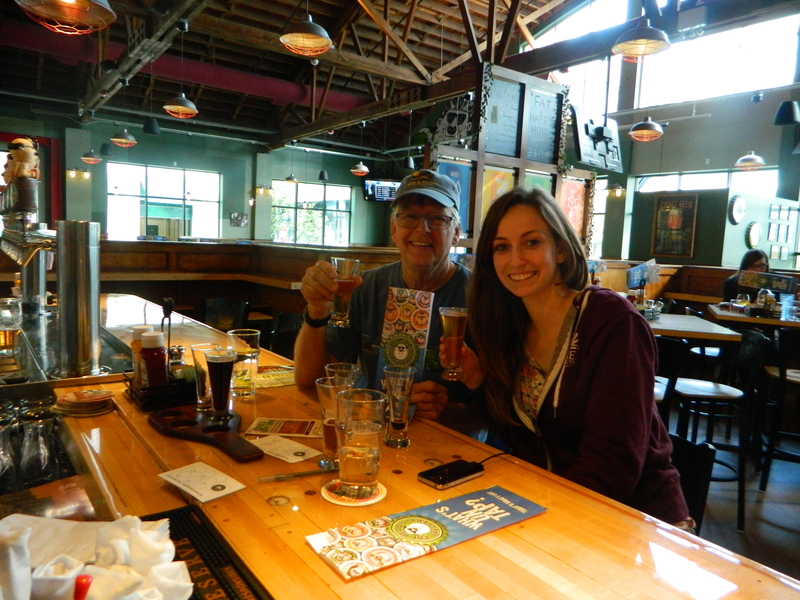 Last week my dad and I took a quick jaunt up to Portland, Oregon to drink beer… I mean pick up my trailer. My dad had graciously agreed to let me use his truck to haul my foundation back down to California and I had talked him into staying an extra night to have some time to spend in what is absolutely one of my favorite cities. After a 9 hour drive we arrived at our Motel 6 in Tigard, Oregon, a few miles south of Portland. Hey, it was cheap. We drove into town a little after and kicked off our beer tour right with pizza and a 15 beer sampler from Hopworks. We picked up my trailer at the Iron Eagle facilities in Fairview Wednesday morning so that we would have the afternoon for our beer tour. Rob was as nice and helpful in person as he had been over the phone. He took a few minutes to talk to me about the trailer’s many tiny house specific feautures, then ran a series of tests to make sure that both the trailer and the truck’s towing equipment was fully functional before bringing me to his office to finalize the purchase. And then it was mine! Once we had the trailer parked back at the hotel, we immediately caught public transport into Portland. We had limited time and a serious plan. The first thing on our to-do list was a visit to one of our favorite places on Earth! Then it was time to get to the really serious business. 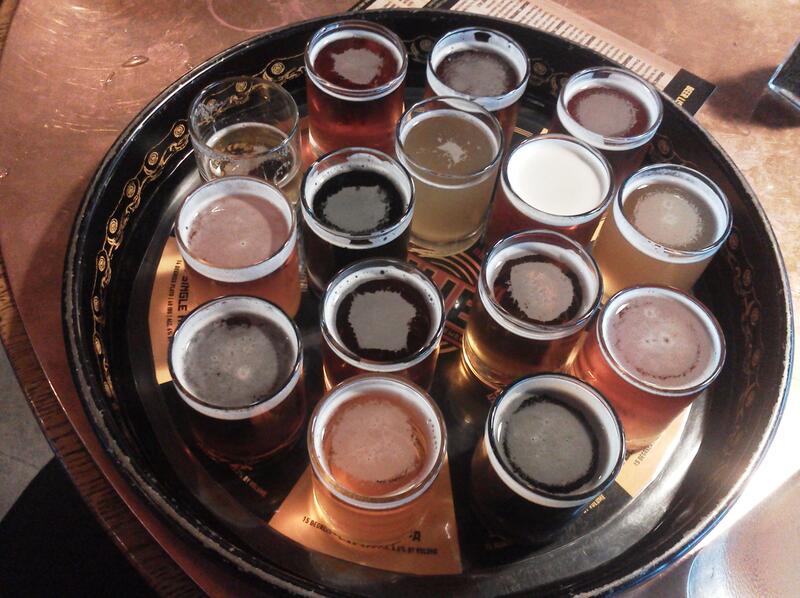 We had planned a walking tour of a few breweries in downtown Portland. 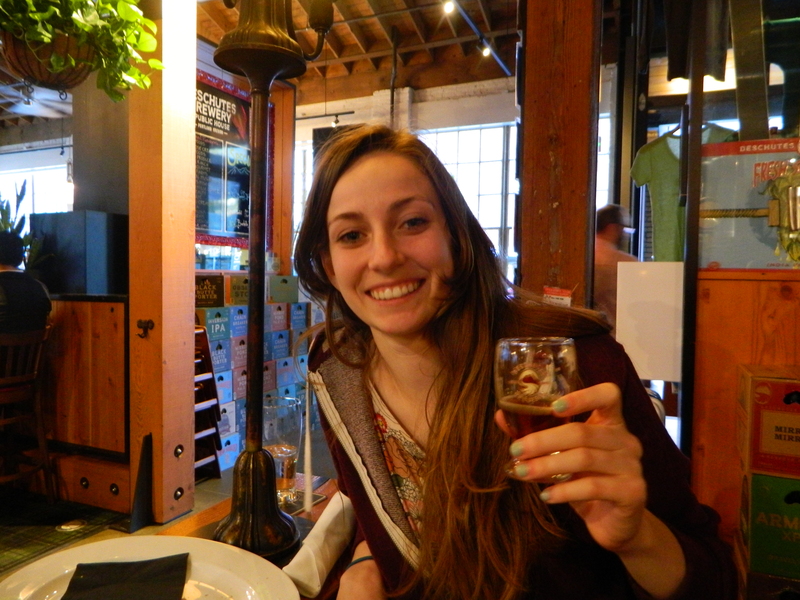 There are 92 breweries and beer bars in Portland! That’s the most in any city in the United States (probably)! 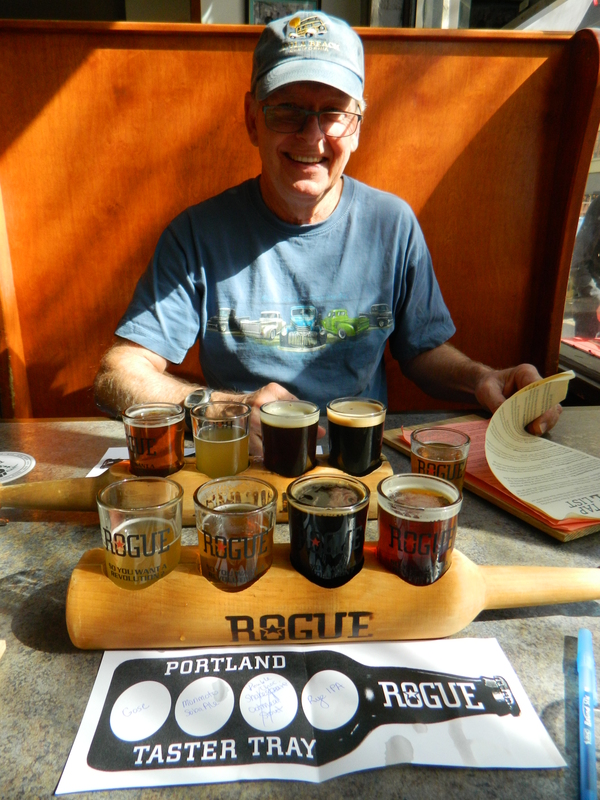 We had a lot of options but we ultimately decided to hit up Rogue, Fat Head, and Deschutes and were not disapointed. 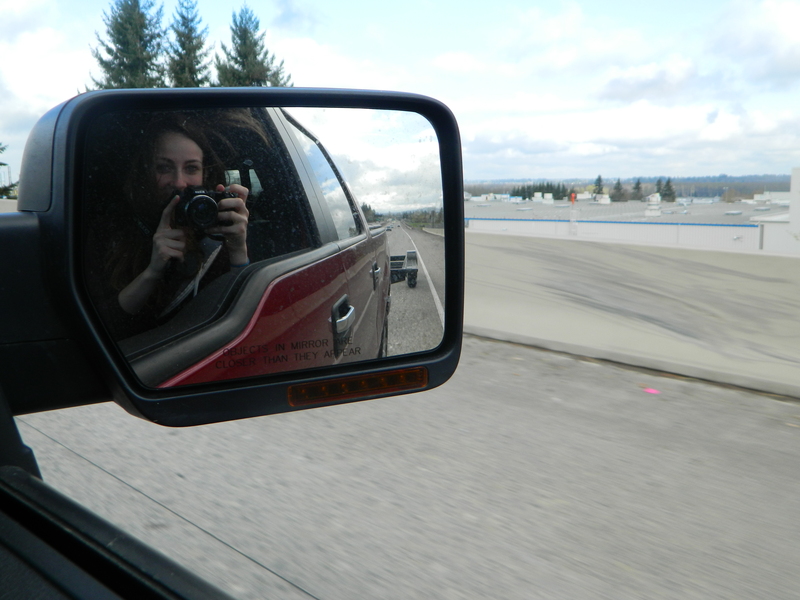 We left Portland at sunrise on Thursday morning, knowing we had a long trip back in the slow lane. I was a little nervous about towing for the first time but quickly became comfortable, maybe too comfortable. As I was passing another trailer at around 80 miles per hour, I glanced to my left and saw a police car. The officer pulled onto the freeway and I knew I was doomed. But then… A MIRACLE! The officer pulled up and flipped his lights on behind the poor trailer I had just passed! Thankfully, the rest of the drive was uneventful, probably because I drove a lot slower after that. In all the trip back down lasted a little over 10 hours but fortunately we were in good company. We made it back home just before dark. The trip was only 3 days long and we spent as much time in the car as we did in Portland but I think we made the most of our time there. 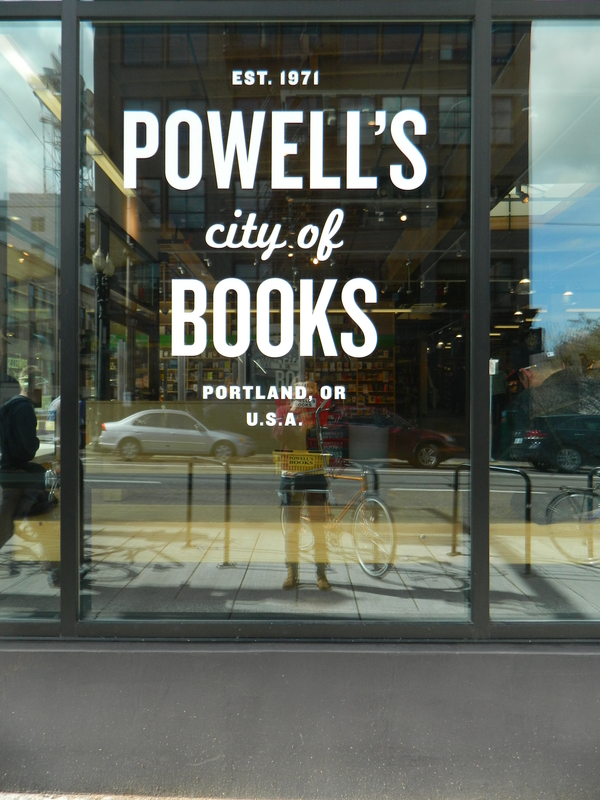 Not only did I retrieve my beautiful tiny house foundation from Iron Eagle Trailers, we were also able stop in at the glorious Powells City of Books, and sample nearly 40 Portland brews (38 if you’re counting… which I am of course)! Thank you so much to my dad for taking this wonderful trip with me. Thank you to our bartender at Fat Head Brewing for sneaking us extra samples! Thank you to that other trailer for doing whatever it did to get pulled over! 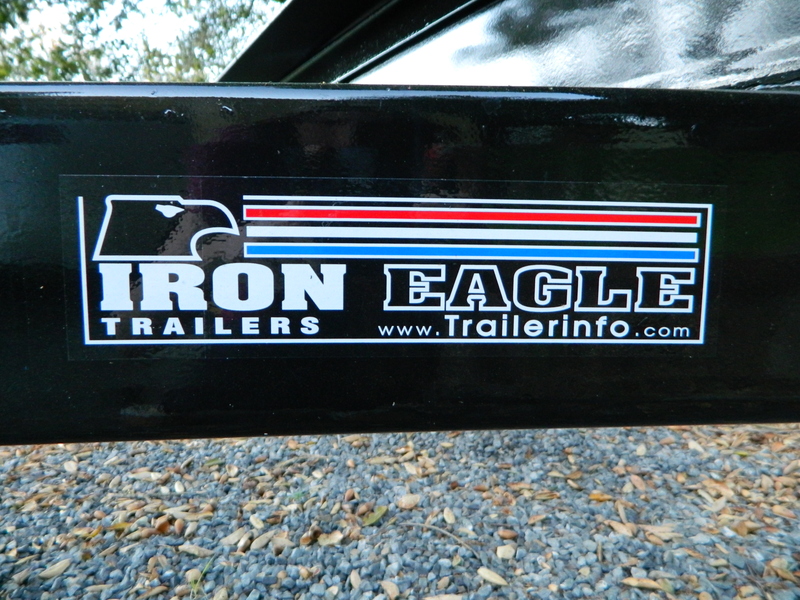 And thank you to Rob and everyone else at Iron Eagle Trailers for making at least one of my decisions easy and for making such high-quality, reasonably priced products. 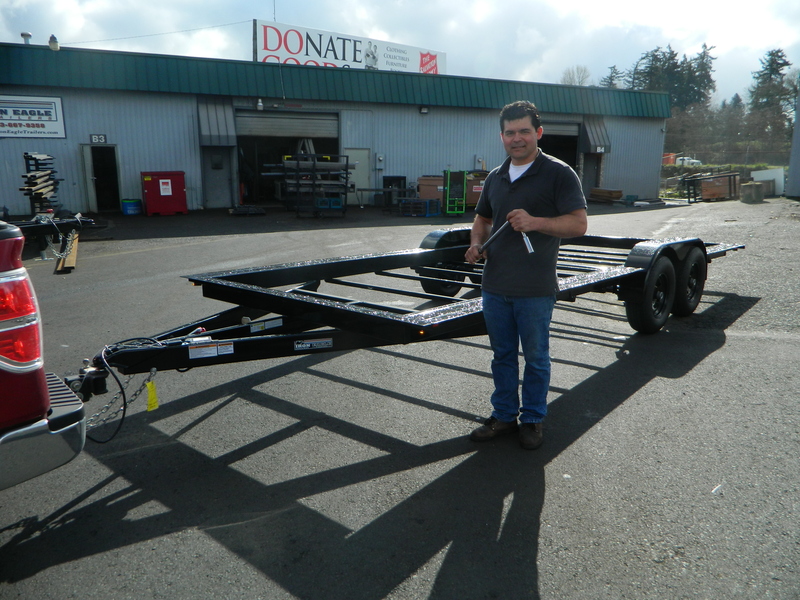 For anyone out there trying to decide on a trailer company, I give my highest recommendation to Iron Eagle Trailers in Oregon! Look, they even put a bird on it! Note: I did not actually hit any cars or people, I swear. 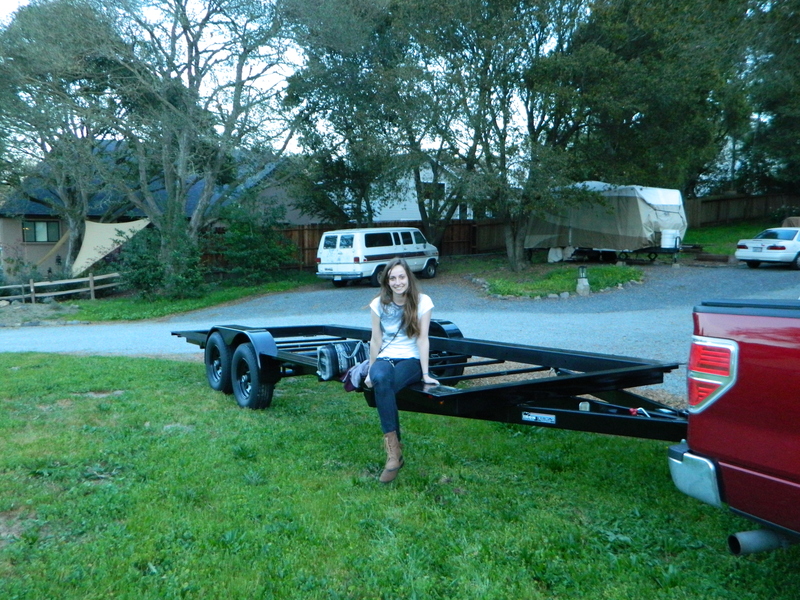 Today I made my first and hopefully biggest investment towards the OneSixty House when I ordered a custom built trailer from Iron Eagle Trailers in Portland, Oregon. There is no going back now. Soon I will have a several thousand dollar, several thousand pound purchase sitting in my yard. 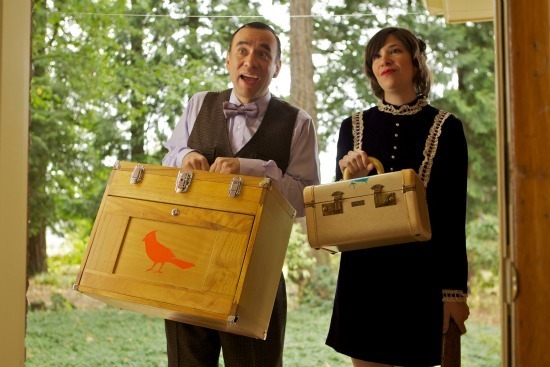 Also, because I am buying my trailer from Portland, get ready for Portlandia references on every trailer post. Sorry not sorry. I had originally planned to buy used and modify but realized quickly that this was not a good plan for me. After a couple weeks of researching, checking out trailers, and calling custom shops to get estimates on modification costs, all the evidence indicated that I was about to spend months of my life searching for something with no guarantee that when I actually made a purchase it would be the right one. I decided that the time I would save and the peace of mind I would get from knowing my trailer was being built by experts was worth the extra money. 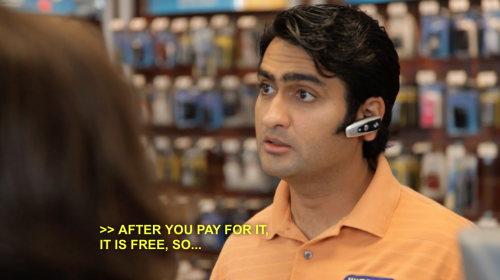 Plus, the Portland cell phone guy has a good point. 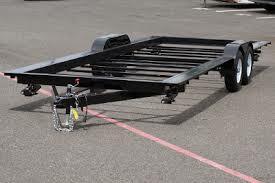 A fellow member of the tiny house community referred me to Iron Eagle Trailers and I am so glad she did. They have a series of trailers specifically designed to serve as the foundations of tiny houses on wheels and their tiny home trailer expert Rob always clearly and quickly answered any questions I had during the decision making process. I feel confident that I have chosen a trustworthy company. The completion is estimated at 6 weeks from now which means I will be able to go pick it up mid-March. The estimate they gave me was March 19! I guess I’m taking a road trip to Portland! Bummer. Oh sh*** is that Katelynn coming into town? Thanks so much to everyone who has helped me towards this huge step. To my mother and father for keeping their eyes open for used trailers, to Maggie for referring me to her helpful cousin Pepper, to Pepper for referring me to Iron Eagle, and to Rob and the rest of the crew at Iron Eagle in Portland for making this stage of my tiny house journey easy. I want to share something exciting with my friends, family, and network. I have decided to build my own home! Actually, I have decided to build my own tiny home. Yes, those little cabins on trailers which have been flooding your social media feeds: I am making one! 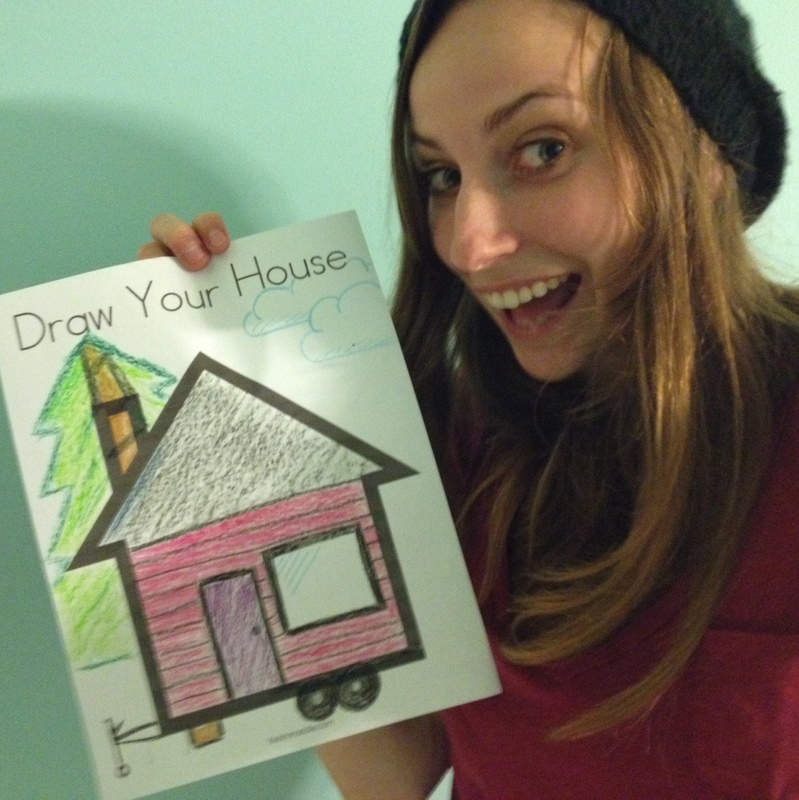 Real adults aren’t afraid to build houses and color with crayons. 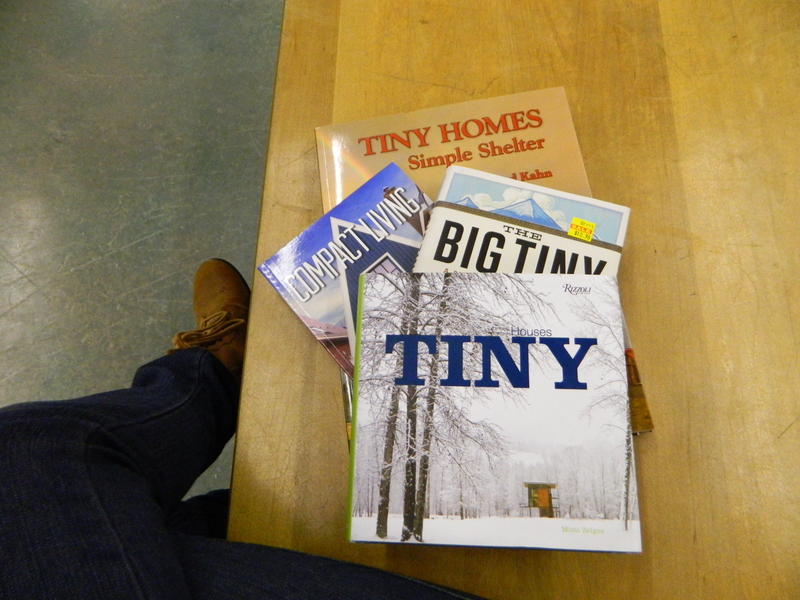 I will be using this blog to share my progress and resources with loved ones and other members of the ever growing tiny home community! Let me quickly run you through the what, where, when, why, and hows of my project! My little house will be a lot like any other house. It will have a bathroom, office space, kitchen, lounge area, room for guests to stay, and a place for me to sleep. The only difference is that mine will be mobile and will have a footprint of only 160 square feet! The entire structure will be built on top of an 8′ by 20′ trailer and measure 14′ from ground to the tip of the roof. I will be constructing the little house in the backyard of my Sonoma County home and sourcing as many of my materials from Northern California as possible! Starting now! I am already in the process of designing, budgeting, and searching for a trailer. I plan to finish the project by Summer. IT’S CHEAP! The estimated cost of building a 160sqft tiny home on a trailer is $10-15,000. With savings from rent in California, this project will pay for itself within two years of use! With all the money I save, imagine all the extra travelling I can do! One answer is “With my own bare hands, dammit!” but the real answer is with a lot of hard work, will power, and the help of my many talented friends. I admit it… I NEED HELP! I cannot do this alone. I have already been surprised and uplifted by the unanimous reactions of enthusiasm and support from everyone I have shared my plans with. So thank you to those who have already offered their hands, advice, and blessings. I know that when the OneSixty House is complete it will not only be my perfect living space but also a tangible representation of my beautiful, supportive community.